On Tuesday, Congressman Devin Nunes (R-CA) sued a fictional cow for $250 million. 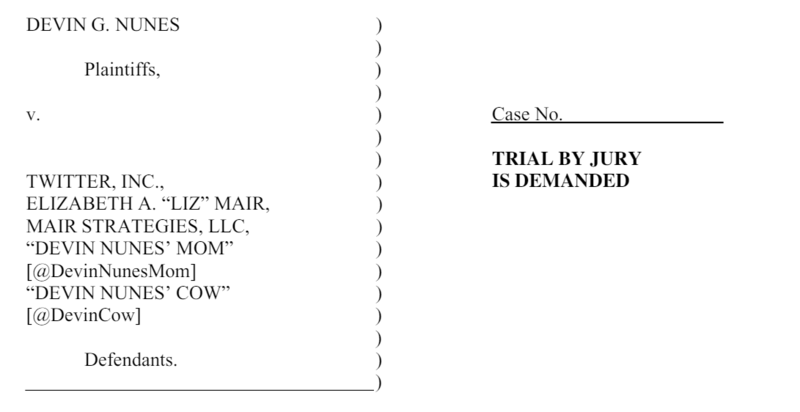 In addition to the anonymous Twitter account "Devin Nunes' Cow," Nunes is suing the "Devin Nunes' Mom" Twitter account, a political operative named Liz Mair, and Twitter itself. This is a real thing that is happening.